LOS ANGELES, Jan. 4, 2018 /PRNewswire/ -- Counter Brands, LLC, – parent company of Beautycounter, a leader in safer skin care and cleaner cosmetics, today announced that Mousse Partners Limited has made a strategic investment in the Company. Mousse Partners, a single-family office with deep experience investing in the consumer and beauty sectors, will provide invaluable support for Beautycounter's next phase of growth. The investment will accelerate the Company's strategic initiatives, including the development of a more robust omni-channel business, and provide capital for investments in technology as well as digital and brand marketing. TPG Growth also participated in this round of financing, having previously invested in the Company in 2014. The terms of the transaction were not disclosed. Beautycounter, based in Santa Monica, CA, was launched in 2013 by Founder and CEO Gregg Renfrew. Known for its innovative skin care and beauty products, Beautycounter has continued to stay far ahead of the industry by developing a rigorous Ingredient Selection Process. While the U.S. has not seen any major federal updates to legislation in personal care since 1938, Beautycounter has developed innovative products that raise the bar for industry health and safety standards. Beautycounter is currently sold through a multi-channel distribution platform including a network of independent consultants, e-commerce, and strategic retail partners. "We believe consumers have the right to safe products without sacrificing quality or performance. Mousse Partner's investment will aid us in our mission to deliver consumers better products they can trust," said Gregg Renfrew, Founder and CEO of Beautycounter. "We are excited to work with Mousse and benefit from their deep strategic, operational and sector expertise. They will be instrumental in helping us accelerate our growth as the leader in not only the safe beauty space, but the beauty industry as a whole." Parker Hayden, Managing Director and Head of U.S. Private Equity at Mousse Partners said, "We are thrilled to partner with Beautycounter and its talented management team to support their efforts to lead the safe ingredient movement within the beauty industry. Gregg is not only an inspirational founder who unites the community around the shared goal of using safe and effective products, but also a visionary. 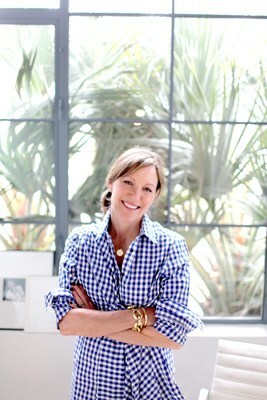 We believe that the trend she started with Beautycounter will eventually become the norm for all beauty products." "Gregg and her team are not only creating outstanding products, but they are building a movement that we believe can change the beauty industry and consumers' lives for the better," said Mike Stone, Partner at TPG and CIO of The Rise Fund. "We're excited to continue partnering with Beautycounter as they pursue their next stage of growth." Parker Hayden will join Beautycounter's Board of Directors effective immediately. Beautycounter is the leader in the safer skin care and cleaner cosmetics category. The Santa Monica, CA-based brand drives a national movement for improved transparency and accountability in the beauty industry, including advocacy to update federal regulations that have stood largely unchanged since 1938. The company's mission is "to get safer products into the hands of everyone." Beautycounter develops and distributes nearly 130 products across skin care, color cosmetics, advanced anti-aging, kids, baby and personal care collections. Beautycounter is a Certified B Corporation. Founded by Gregg Renfrew in 2011, Beautycounter launched in 2013 as a direct-retail brand (direct to consumer through multiple channels) that is now available through 25,000+ consultants across North America, online at Beautycounter.com, and through strategic partnerships. 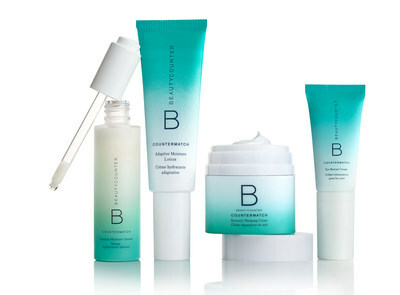 For more information, please visit www.beautycounter.com. Established in 1991, Mousse Partners Limited ("Mousse Partners") is a single-family office that invests in a broad range of asset classes, including private equity, venture capital, real assets, equities, and hedge funds. Mousse Partners invests through funds as well as directly into companies, and supports its partners with deep sector knowledge and flexible, long-term capital. Mousse Partners is based in New York City, with offices in Beijing and Hong Kong.